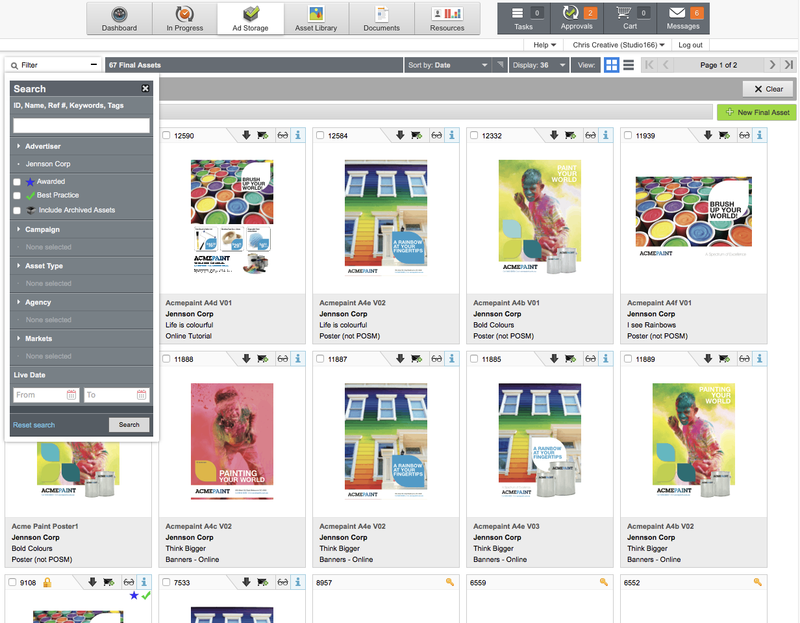 This overview demonstrates how marketers can re-run a project and associated deliverables in admation making the process easier and more expedient than ever before. 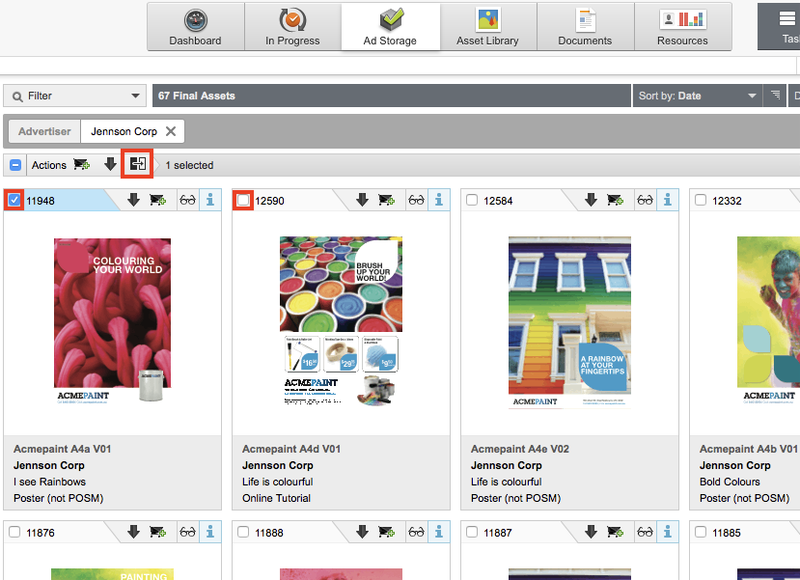 To re-run a project deliverable, first click on the Ad Storage button at the top of the screen. Here you can access all previous projects that have been approved and finalised. To find the project you wish to re-run, fill in the search filter. 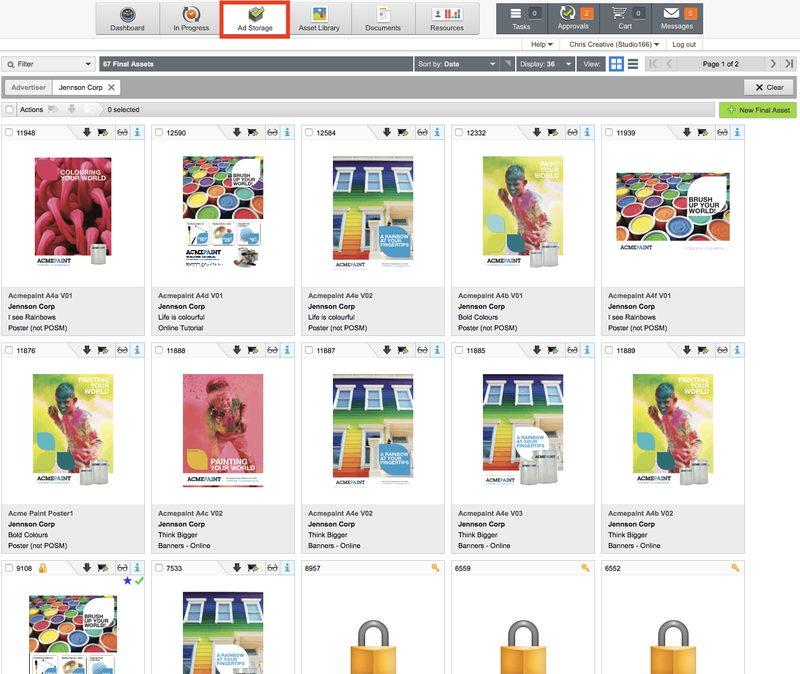 You can search by a range of metadata such as a job number, campaign, keywords and asset type. Once you have found the project, you have two options on how to proceed. 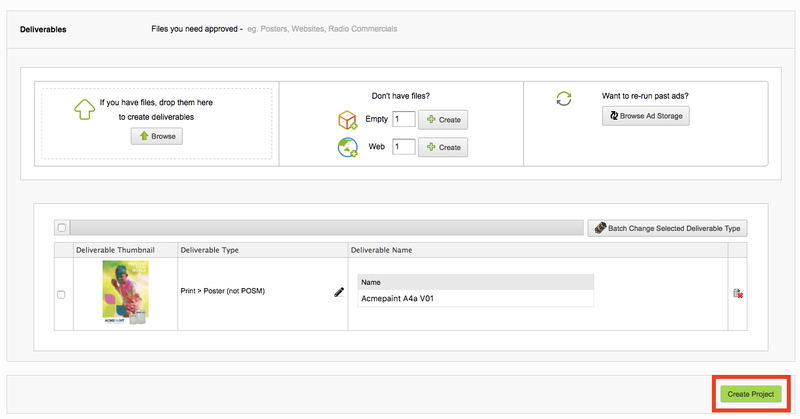 Select the checkbox for each deliverable you wish to re-run. When you have selected all appropriate deliverables, click the re-run icon located on the Actions bar. You will be directed to the ‘Project Metadata’ screen where you will need to complete the project details. Click on the finalised project deliverable and you will be directed to the ‘Finalised Deliverable’ details screen. 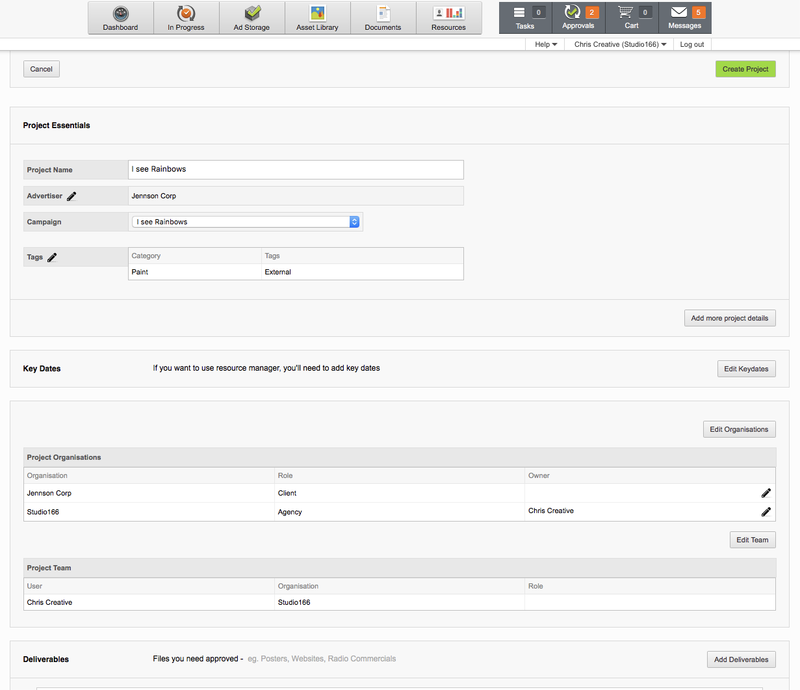 To re-run the entire project or associated deliverables, select the Re-run button located on the right side panel. Once selected, a screen will appear. From here you can select the deliverables you wish to re-run. Click continue. 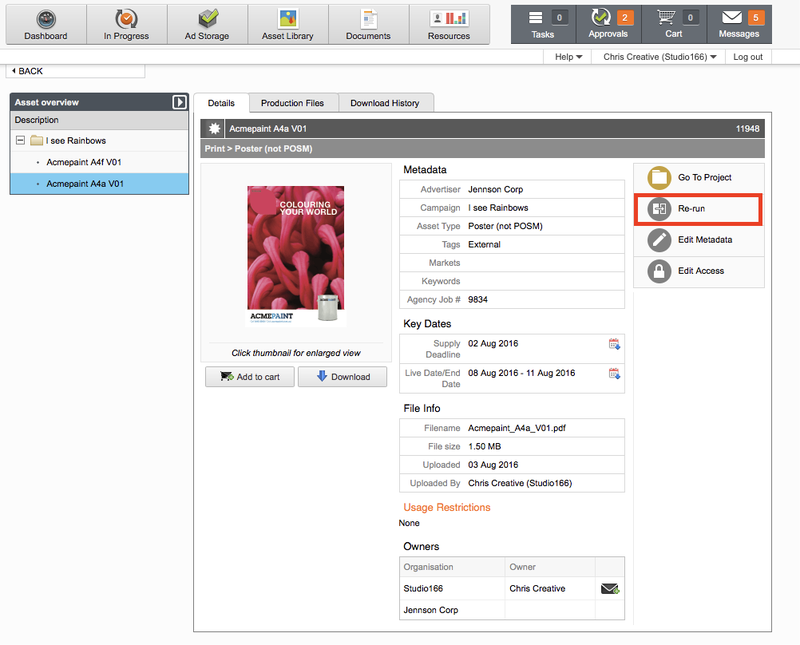 The Project Creation screen is where you will be able to edit the project’s details (metadata, key dates, project team). Deliverables that were selected to be re-run will appear under the Deliverables section. 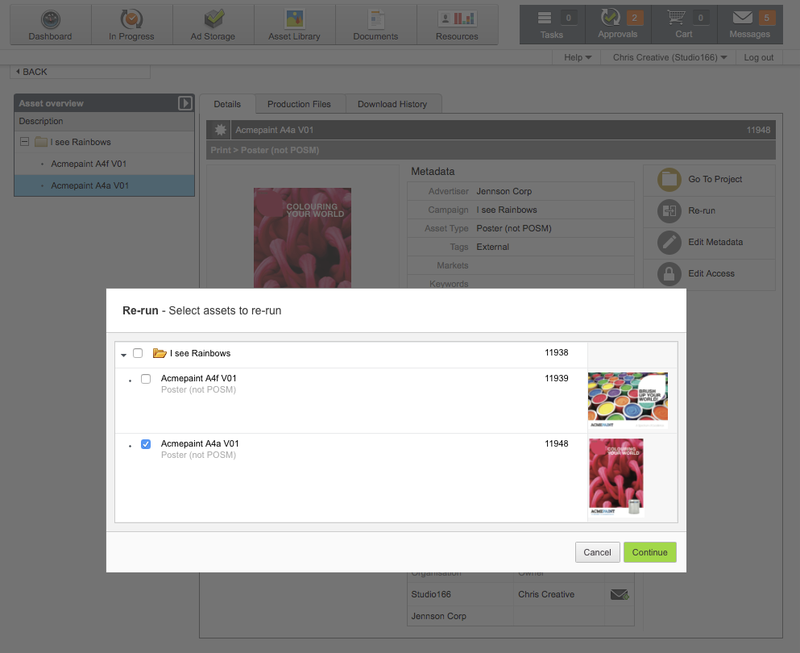 To upload a new or exisiting artwork to a re-run deliverable, click the Upload File button. 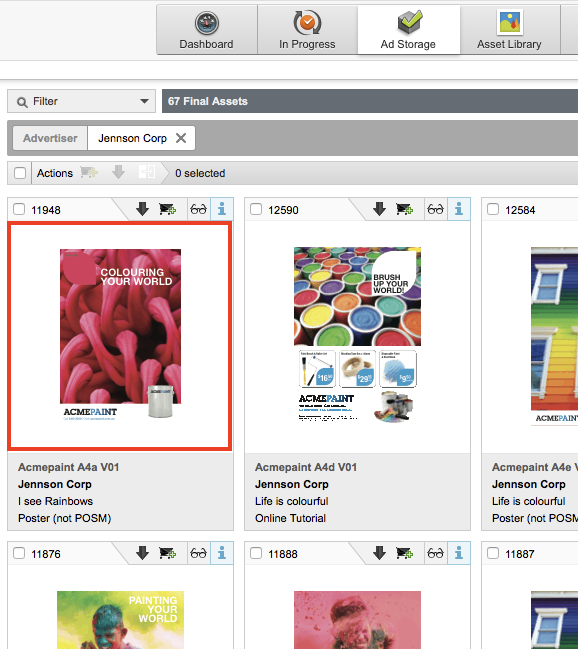 Browse for the artwork in your directory and then select Upload. Once the artwork has been uploaded, click the Create Project button. 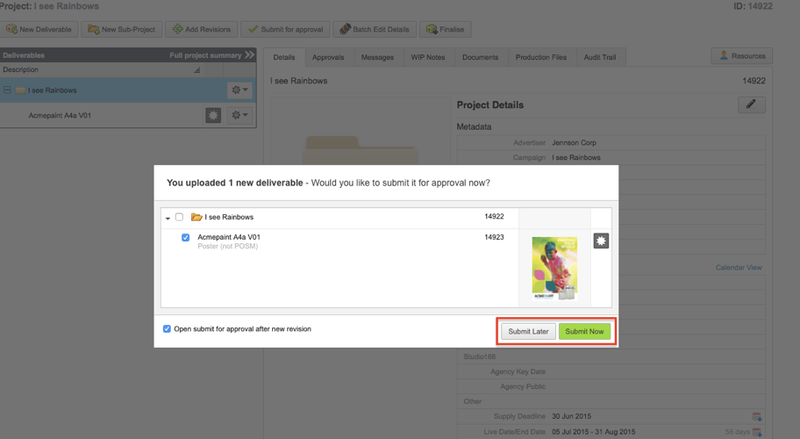 If you’ve uploaded new artwork the options to submit your deliverables now or later for approval will appear.